Earth Day arose from an interest in gathering national (USA) support for environmental issues. Likewise, it marks the anniversary of the birth of the modern environmental movement, first celebrated on April 22, 1970. In 1969 at a UNESCO Conference in San Francisco, peace activist John McConnell proposed a day (March 21, 1970) to honor the Earth. A month later a separate Earth Day was founded by United States Senator Gaylord Nelson as an environmental teach-in and this was first held on April 22, 1970. In his (Senator Gaylord Nelson) talk (on the first Earth Day) titled: -What It Meant-, he mentioned that this(first Earth Day) marked the moment Americans(of all ages and from all walks of life) made it clear that they understood and were deeply concerned over the deterioration of their environment and the mindless dissipation of their resources. That day left a permanent impact on the politics of America. Looking at Earth Day’s origin, it was focused exclusively on the United States, but in 1990 an organization established by Denis Hayes (a former coordinator of Earth Day in 1970), took it international and organized events in 141 nations. 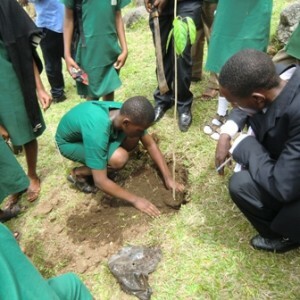 Presently, Earth Day Network globally coordinates this day and it is celebrated in more than 193 countries annually. Environmental issues (climate change, pollution, environmental degradation and resource depletion etc) that affect all of us exist and increase everyday single in our natural environment. Earth Day and days around it are set aside to tackle and address environmental issues through advocacy, education and activism. Moreover, it is a period for every individual to focus and harness their energy, ideas and thoughts towards protecting the natural environment for the benefit of both the natural environment and humans. There are myriad of ways (from small to big activities) to demonstrate how we care about the future of our planet. For example; you could plant a tree, make a meal with locally-grown vegetables, educate a family member or friend, clean up trash in your neighborhood, join an environmental group, save power — the possibilities are endless. Furthermore, let’s remember we don’t have to wait for Earth Day to show our love for the planet we call home. Earth Day Network(an environmental movement) authored the 2016 Earth Day theme, “Trees for the Earth”. This theme aims at planting 7.8 billion trees before 2021. According to earth day’s global coordinator, trees will be the first of five major goals they are undertaking in honor of the five-year countdown to Earth Day’s 50th anniversary. Some might question the impulse behind this year’s theme. Here is the answer according to Earth Day Network; trees help combat climate change, help us breathe clean air, help communities achieve long-term economic and environmental sustainability and provide food, energy and income. With this, we can conclude that trees are integral for human existence. 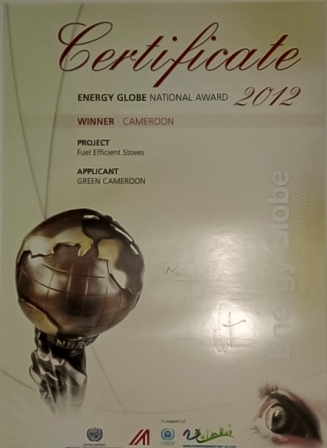 Through a series of activities and campaigns, Green Cameroon has long been advocating for better climate change resolution policies and a healthy natural environment. 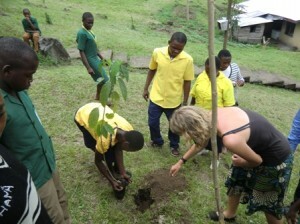 Community Trees Campaign a programme centered on promoting the culture of tree planting in communities of the Mount Cameroon Forest Region is one of our organization’s major long term campaigns and it’s akin to the “Trees for the Earth” campaign. Pragmatically, this project revolves around sensitizing on the importance of trees and forest and how they can best be managed in a sustainable manner. Some of the major milestones achieved under this project include; the thousands of trees planted in the region (Mount Cameroon Forest Region) and the development of many community tree nurseries. These milestones were achieved through the establishment community tree nurseries (where hands on training in tree species propagation, nursery management, tree planting and forest management and advantages on using modern agro forestry techniques were given). Earth Day is not exclusive to environmental activist and enthusiasts but it is for everybody and can be celebrated everyday, anyday and anytime at your convince. Be inspired to make our plant a better home by planting trees and not destroying them (trees).